My family loves to watch movies together so we have regular family movie nights. 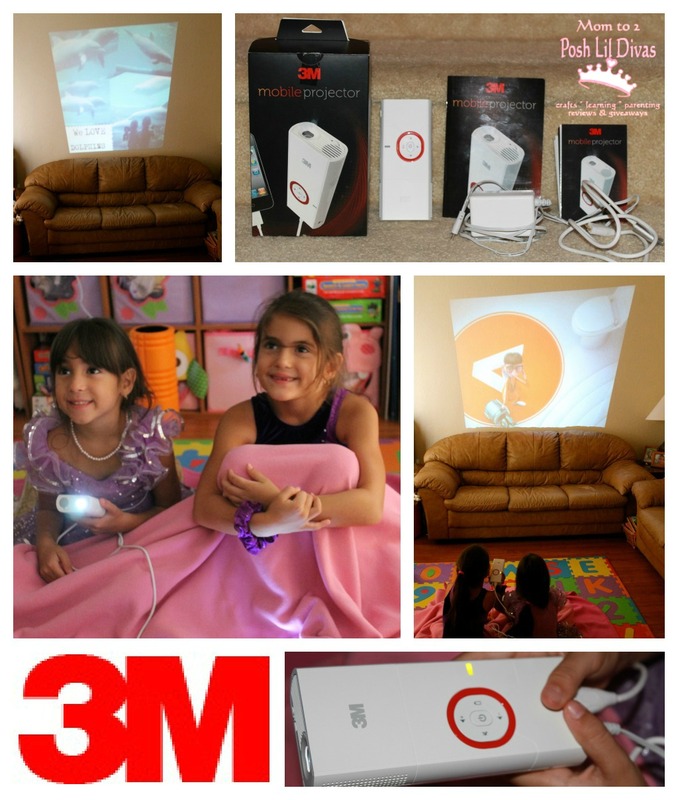 When you do something often, it starts to lack that excitement factor so I was pretty excited about jazzing up our family movie night with the 3M Mobile Projector. 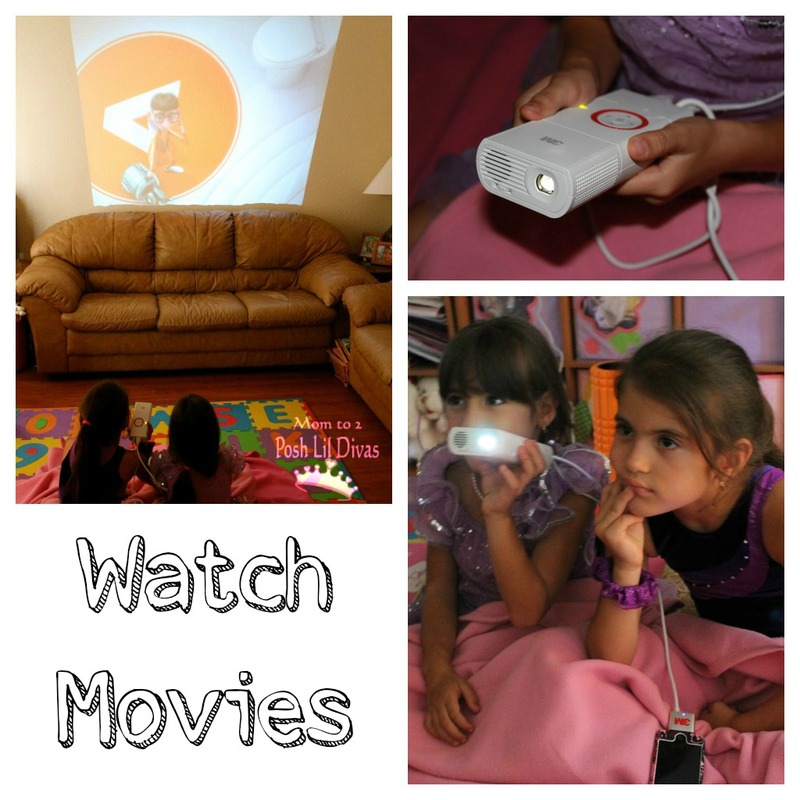 Forget the tv screen, that's so yesterday - let's project the movie onto the wall or even the ceiling for some fun. Seriously, with the 3M Mobile Projector you can tap into your iPad, iPhone, iPod and even most computers and laptops (requires additional cable). View movies, photo slide shows, home videos, youtube videos, stream directly from Netflix and even view all your fun apps/games in action. For a small, portable pocket projector the 3M sure packs punch with all the fun things you can do. On this particular night, the Lil Divas wanted to view the many, many photos and video clips of them I have on my iPhone. They like watching themselves in action and re-living our family outings, fun, etc. Do your kids like that to? I know it can't be just mine. They beg us often to view our home movies of them as babies. Instead of having to watch on the small screen of my iPhone, we took out some blankets and pillows, got comfy on the floor and watched everything projected onto our family room wall. 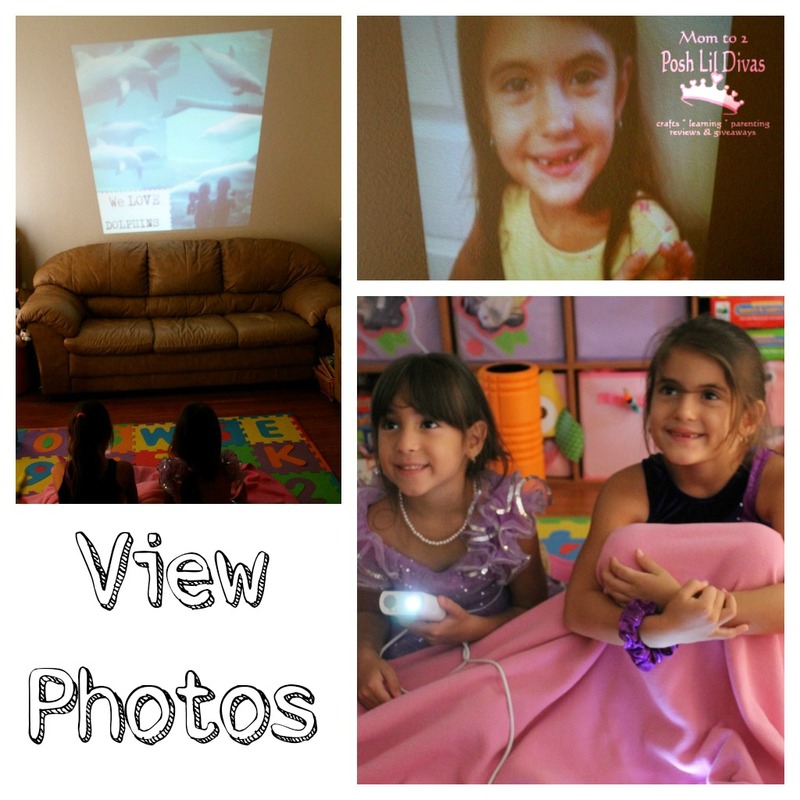 They really enjoyed seeing the photo slideshow play so large on our wall. It's not often they get to see such larger than life pictures and videos of themselves. Of course once they got started they didn't want to stop so we decided to try watching a movie this way. You have to find a way to place the projector so that it projects onto the section you want to view it from but this is easily done by placing it on a table, chair, pillows, etc. The Lil Divas actually held it for most of the time since they were excited about having this new "toy" to test out. It's lightweight and small even for little hands. My only complaint is that the volume doesn't get too loud. To really get that movie feel you would need additional speakers because the built in sound is pretty low it was fine for us watching at home but if anyone was talking, it was hard to hear the movie. 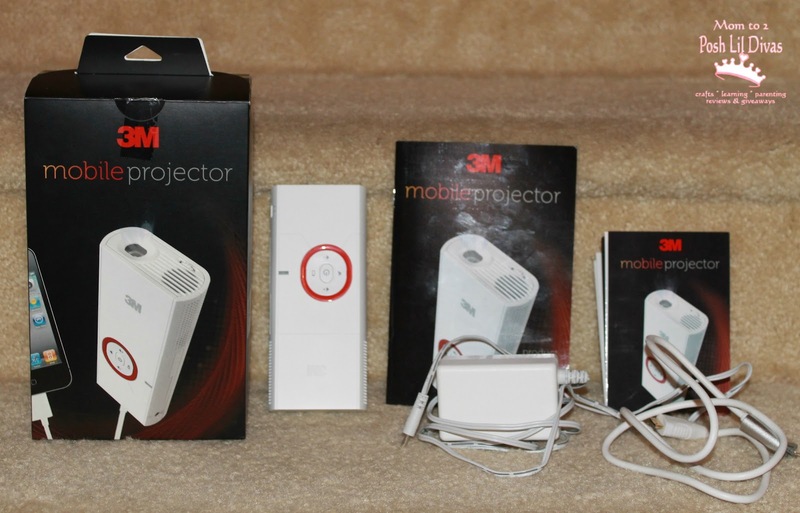 Overall, the 3M Mobile Projector is a cool little gadget to have. This would be great to use while camping - how cool would it be to project a movie on the side of your tent or RV under the stars, vacationing - view your photos, movies or game apps right on the hotel wall or at home - having a sleepover, the kids will love it. I can think of so many more fun ways to use this product. What would you use it for? 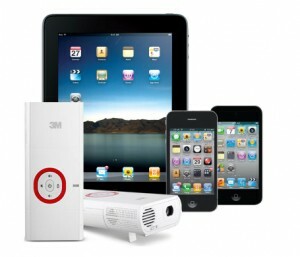 Want more info on the 3M Mobile Projector? Check out their product page, connect with them on Facebook or follow them on Twitter. Disclosure - I wrote this review while participating in a blog tour by Mom Central Consulting on behalf of 3M and received a promotional item to thank me for taking the time to participate. That would be super fun to use in our backyard!!! Especially Thanksgiving weekend in FL when we have family in town and the TV is overrun with football games! Ha! Thanks for sharing! Megan, it would be a fun alternative to the football takeover! That happens in my house too.